SEO vs PPC Which Is Better For My Business? 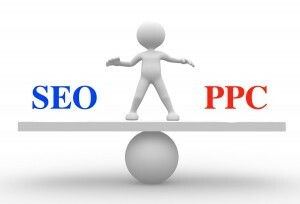 First, let’s examine the key differences between SEO and PPC. You can’t really decide which strategy is best for you if you don’t understand exactly how they’re different. SEO (Search Engine Optimization) is all about getting your website to rank higher in natural/organic search results for target keywords on the most important search engines: Google, Yahoo, and Bing. PPC (Pay Per Click), on the other hand, is all about paying for advertising space for specific target keywords on search results pages. Here’s a screenshot of a Google search I did for the phrase “auto insurance Los Angeles.” You’ll see the PPC ads running at the top and along the right sidebar of the search results page. You’ll then see the natural search (SEO) results showing up in the main area of the search results page. As this screenshot clearly shows, you can pay for presence on keyword phrases PPC or you can earn your presence with SEO. Now, on the surface, this sounds like SEO is the clear winner. And for many reasons that we won’t go into here, SEO is important even if you’re doing PPC. The major advantage of SEO is statistically it tends to bring you better traffic and more trusting leads. In fact, lots of searchers have trained themselves to even ignore “paid results” completely when browsing the web or searching on Google. There’s plenty of data that suggests that “Natural Search” visitors to your website are far more likely to trust you, trust your business, and trust your products & services. Ranking highly on Google for a keyword phrase is a sign that you’re credible and that you’re an important player in your industry. These are the major advantages to SEO. But don’t fool yourself into thinking that SEO is free. No matter how you slice it, SEO comes at a cost — whether your own time or the money you’ll need to invest in hiring the right person to do the job for you. Still, it’s not always the case that every business should avoid PPC just because it has a direct cost-per-click. PPC has its advantages and can even play an important role informing your SEO process and strategy. The question of whether you should use PPC is going to depend mostly upon your available monthly marketing budget. For most business types, PPC is only going to yield results if you can afford to spend at least $50-$100 per day on clicks. Anything less and you risk not getting an adequate return on your investment. Remember: Not every person who clicks your Paid Advertising is going to convert into a lead or a buyer. My very best answer to this question of “SEO vs PPC which is better for my business?” is that you should be doing BOTH! Search Engine Optimization is also important but will definitely take a lot longer to generate results and traffic. If your website is brand new, you’re going to be trapped in the “Google Sandbox” for at least the first few months of your website’s existence. Count on lots of fluctuations in your rankings, lots of inconsistencies, and lots of growing pains. Still, long term SEO is going to bring you the best kinds of traffic and the most qualified leads. Plus, your SEO efforts (optimizing code, improving page content, etc) is all going to help your PPC results as well. Google likes to reward “good PPC buyers” with lower Cost Per Click and higher Quality Scores in Google Adwords. I hope this introductory overview is helpful. What questions do you still have about choosing between SEO vs PPC? Please leave your comment below. It is very clear today that a site ranks for high volume keywords for organic searches, if that site has built enough authority. Both PPC and SEO are long term strategies. PPC is mainly a short term strategy while SEO is only a long term strategy. This was a very professional written article that clearly articulates the difference between SEO vs PPC. Many local businesses just do not know where to start and like you said, it is best to proceed with both SEO and PPC if you really want to succeed online.